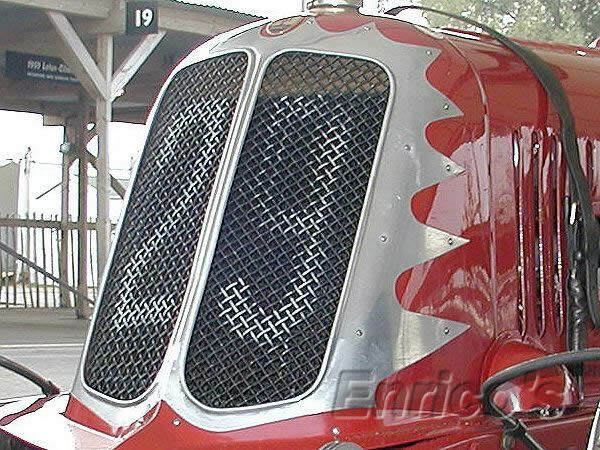 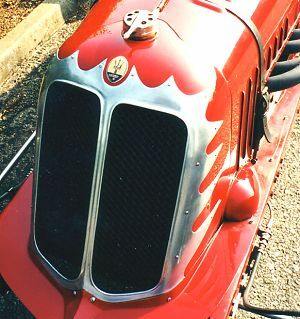 The unique radiator grille of #1120! 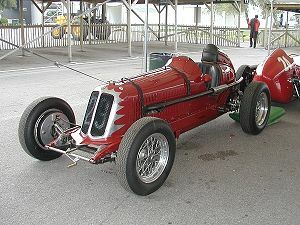 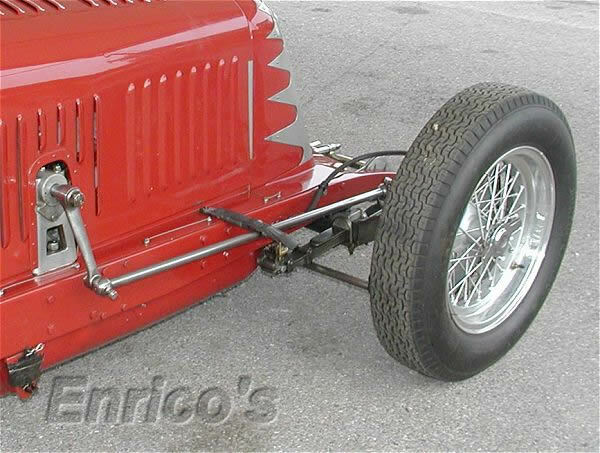 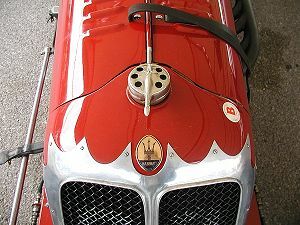 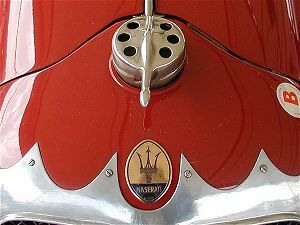 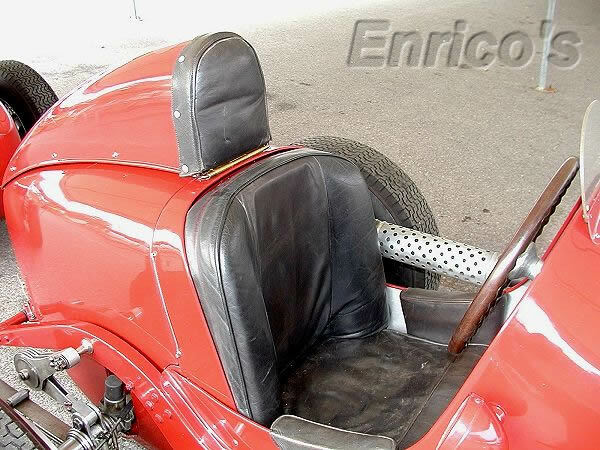 According to MASERATI - A complete history from 1926 to the present by Luigi Orsini and Franco Zagari, #1120 started life in 1932 as a Tipo 4CM 1100 for Giuseppe Furmanik of Rome and was converted to a 4CM 1500 in 1936 for Gino Govere of Turin. 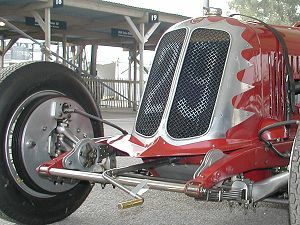 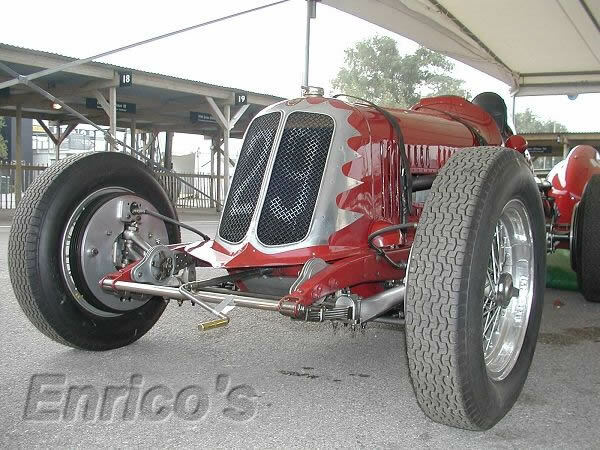 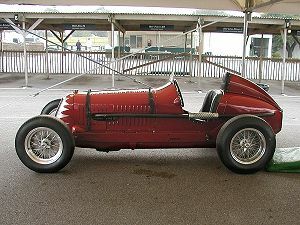 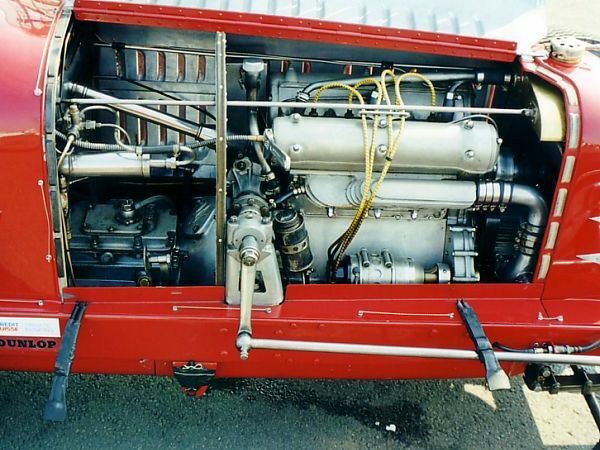 From the same source, #1120 with its 1100 cc engine was converted for a World Record speed attempt in 1936 by removal of the front brakes, a three-speed gearbox, a more aerodynamic bodywork and its overall weight was reduced to 470 Kg. 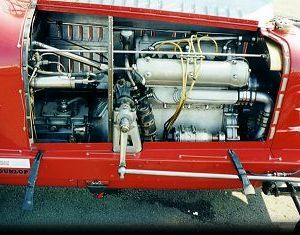 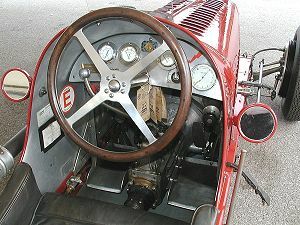 The cockpit and driver's seat ot the Tipo 4CM. 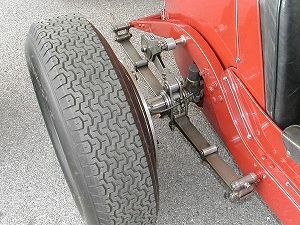 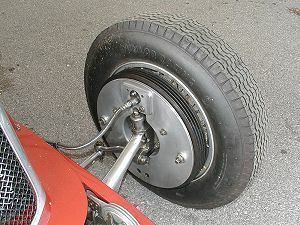 The rear suspension by leaf spring and friction damper, and the front finned drum brake. The ornate radiator cap and the gearbox. 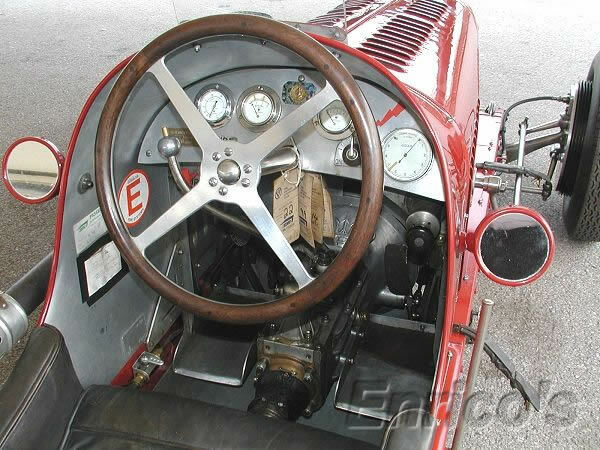 Note the 'Trident' on the bell-housing and the pedals either side of the gearbox. 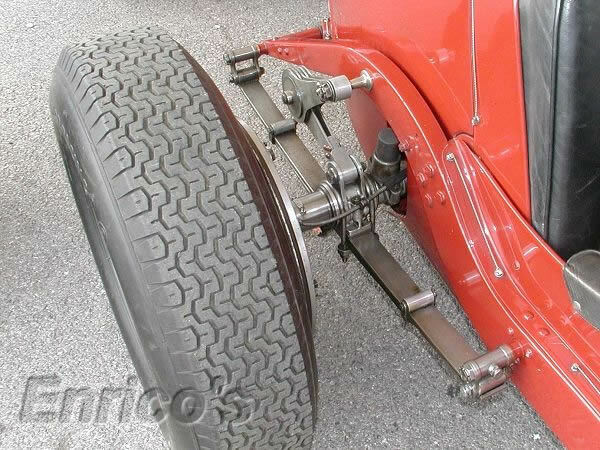 The steering mechanism and the front suspension by leaf springs with friction dampers. 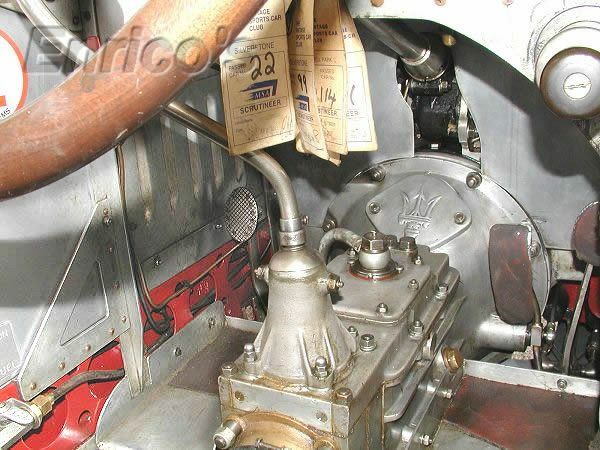 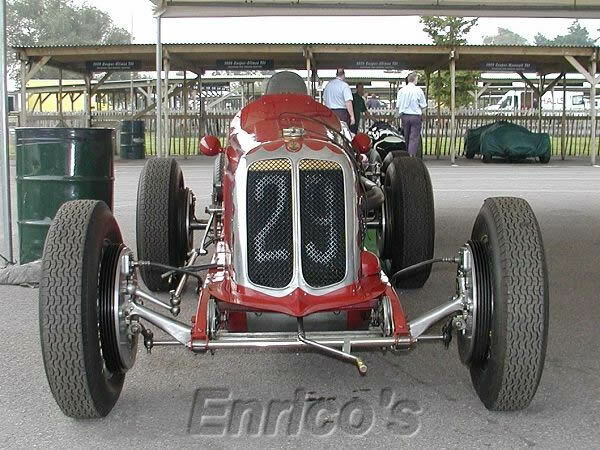 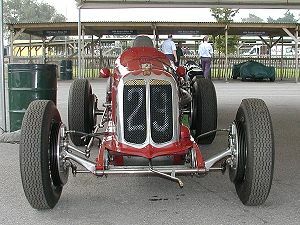 The 1½-litre supercharged engine developed 150 bhp @ 7200 rpm.